The words “Special Delivery” take on new meaning when it comes to your audio presentation. 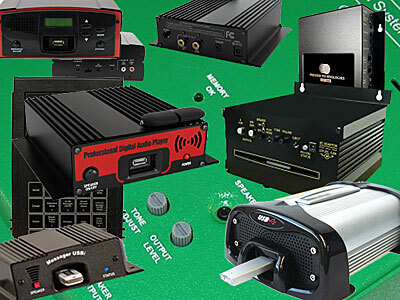 Sound Marketing Resources will recommend system design and equipment resources to deliver and control your custom programming to develop your unique environment to support your brand with a comfortable listening experience for your customer on-site, by phone and on the web. All the best brands and technologies in the industry supported by a network of professionals including members of the On Hold Messaging Association (OHMA) and the International Business Music Association (IBMA). Hamburger or filet mignon. Tent or castle. Beauty college student or seasoned professional stylist. Original masterpiece or reproduction. It’s beef, a place to sleep, a haircut, and a picture, but the differences are unmistakable. We thought long and hard before deciding to include this paragraph and, frankly, some people still think we’re crazy for doing it. But we’ve never been too shy about blazing our own trail. That’s what makes us special. Here’s the flat-out, no-holds-barred truth: we are NOT the cheapest on-hold system provider, and we never will be. We’ve spent enough time fixing the bargain basement productions, redoing the “$295 or less” on hold advertising and developing a clientele that understands the difference that we simply can’t be a part of that group. It’s not who we are, and it’s not what our customers expect. If you don’t think your business deserves better…you won’t appreciate Sound Marketing Resources. The only way to deliver an effective on hold commercial for ridiculously low prices is to find a company that has ridiculously low production costs. Guess what? That means you get ridiculously low production quality and the low level relationship that inevitably comes with it. It’s not rocket science. The best voice talents earn more than the mediocre talents. Professional copywriters get paid a better wage than average writers. Great relationships require more time and attention. You get the picture. Few people have never experienced spending less expecting more, only to be disappointed with “back burner” service and the typical surprise add-on costs (start-up fees, security deposits, insurance, and a service menu of “extras”). We’re not in the business of disappointing customers and we hate apologizing. It’s not that we’d never admit we were wrong: we simply prefer to deliver quality and service that doesn’t require an apology…ever. So…our first programming starts at $590 and may reduce with subsequent productions. Not a surprise and not expensive. You’ll reap the benefits of our quality long after you’ve forgotten the price.